The Gay Gamer: A free RPG, you say? Acquire, the Japanese developer responsible for quirky PSP titles like 100 Million Ton Bara Bara (aka Patchwork Heroes) and Yuusha no Kuseni Namaikida (Holy Invasion of Privacy, Badman! 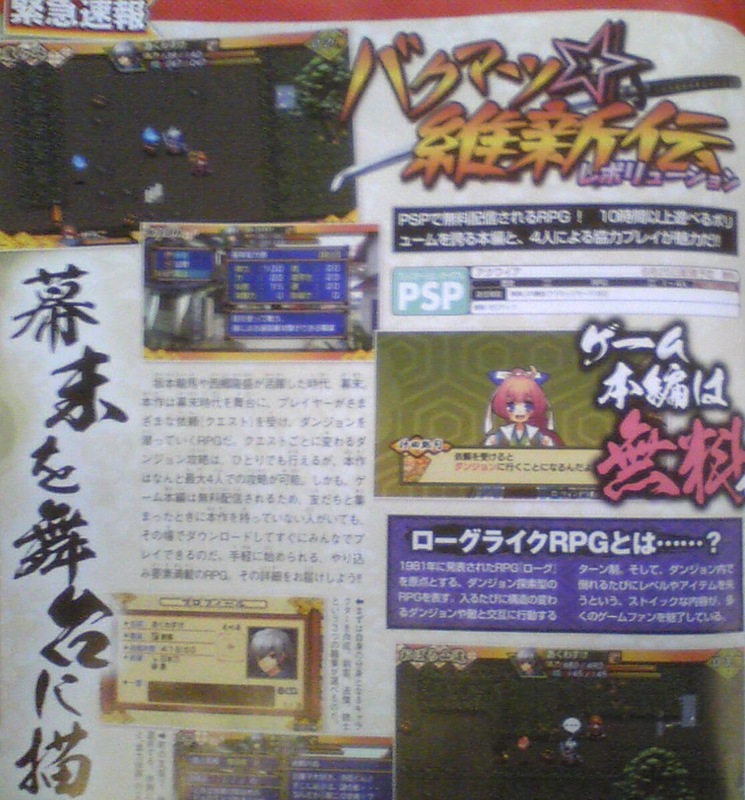 ), is sure to turn heads with its latest release, a dungeon crawler called Bakumatsu Revolution, and not because said release is a looker. 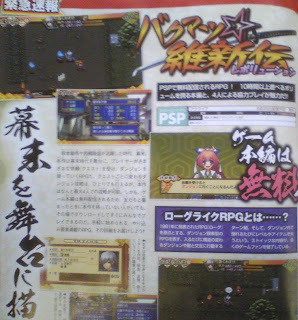 According to the latest issue of Famitsu magazine (by way of andriasang.com), when Bakumatsu Revolution hits the the Japanese PlayStation Store on June 25, it'll do so with a price tag of $0. No, your eyes aren't deceiving you--the four-player RPG will be free. available screenshots of Bakumatsu Revolution. What's the catch? Well, it seems that Acquire is aiming to turn a profit on the game by charging users for downloadable content, such as additional items and scenarios. Still, unless the DLC is amazingly overpriced, Bakumatsu Revolution should be a no-brainer of a download for PSP owners who enjoy the occasional dungeon crawler. That's friggin awesome! Now I just need a PSP! But if you get the chance, check it out.